Lately we’ve been so busy we didn’t eat out as much but cooked instead. It’s also because they had a promotion a Denner (budget grocery chain) where you could buy your Highway Toll annual pass for 35 Fr instead of 40 Fr but with a minium spend of 100 Fr. When we arrived at checkout we were 10 Fr short so had to buy some extra meat. Meat is what is expensive in Switzerland. In fact it is so expensive that they display the price for 100g. Like “Aktion, on sale 5 Fr for 100g instead of 6.95 Fr…” great. 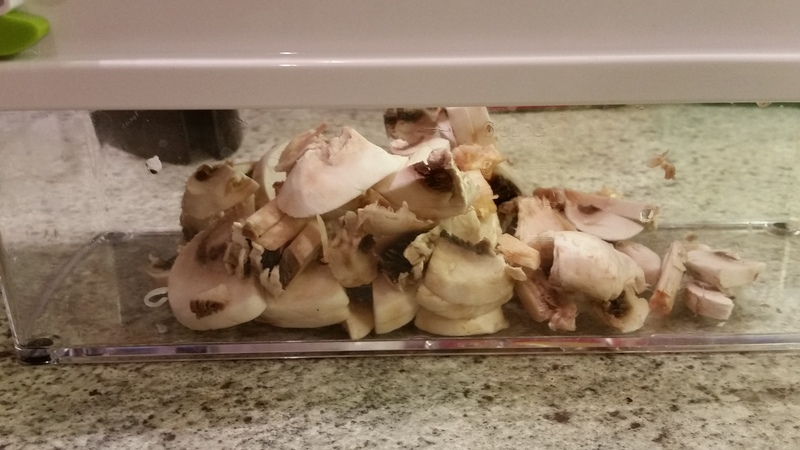 My point was, we bought a lot of meat so we cooked a lot. 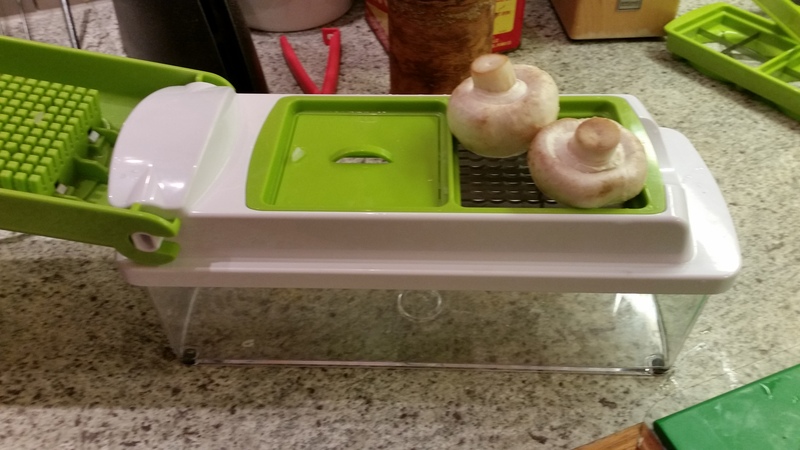 One accessory we enjoy now is the Nicer Dicer Plus. My husband had been coveting it for a while. He watches shopping TV show. I know. He loves cooking, he loves his gadgets too. So he got one and I have to admit it it’s very convenient to chop tomatoes, potatoes, onions, mushrooms, everything, safely and in just one move. In particular for tomatoes it’s mess free as you don’t have tomato juice going everywhere on your chopping board and dripping when you try and move your board back to the sink. If you’d like more cooking posts, let me know, I’m happy to add a few of them in between restaurants reviews. 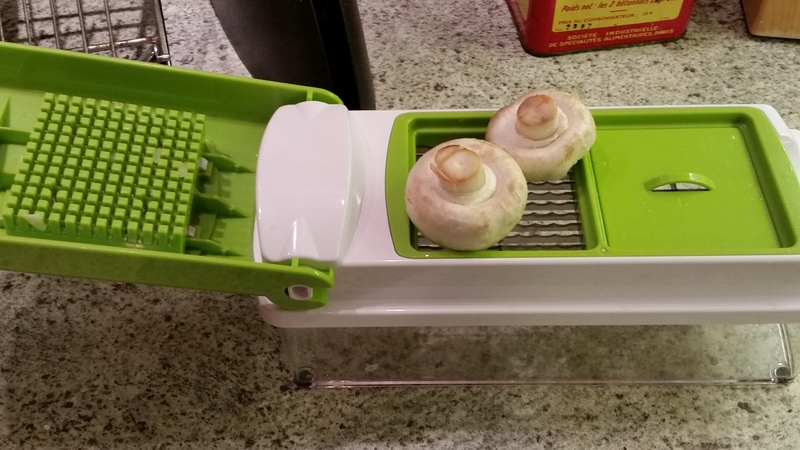 Hey, i am a german visitor and I also use this nicer dicer every day. Awesome tool, loving it.